Home / Healthy Puppy / Newfoundland x Golden Retriever Puppies! 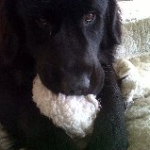 Sorry, we are no longer breeding Newfoundland x Golden Retriever puppies as of May 2015. 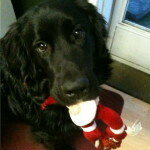 If you are looking for a Newfoundland x golden retriever puppy for sale, you may be in luck! 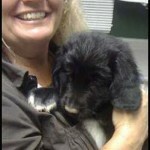 We have partnered with our golden retriever breeder and added our own Newfoundland stud to his kennel!! We are proud to announce that our Newfoundland dog has been successful in fathering Newfoundland x golden retriever pups with purebred golden retriever females. Over the years here at Curious Puppies we have had a number of litters of this amazing cross, and they have always been so popular with many people! People from all over are looking for these fantastic dogs, and we are excited about these new litters, as well as litters in the future. 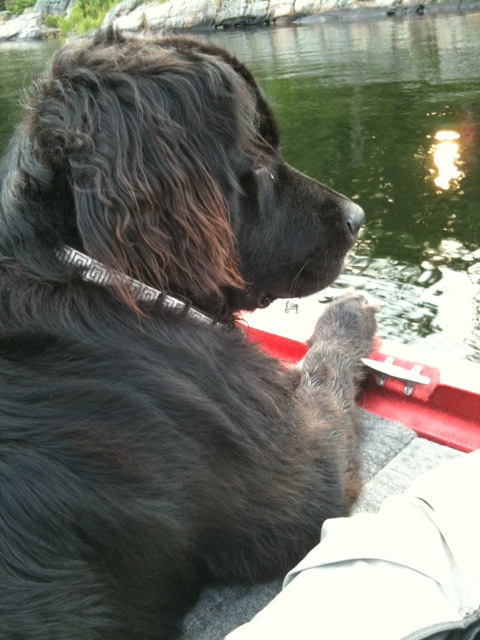 Dad is a handsome black Newfoundland dog, born in mid 2010 and began studding at the end of 2011. He is a very friendly boy! 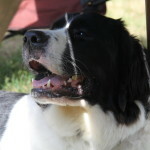 He comes from a black Newfie mom – Bonnie, and a black/white Landseer Newfie dad – Mr. McGregor. His parents are super friendly dogs as well, and are spoiled living on a family farm with a stream running through it, where they can swim daily! On top of that, we have our own Landseer Newfie –Dakota, living here at home with us, from the same parents, but from a later litter. If you come visit us in our home, you will get to meet our adorable Dakota and see how much joy the Newfoundland can bring! Dakota will likely be a bit bigger than the Newfoundland x golden retriever puppies for sale, but it will give you some idea of what to expect with your new puppy. 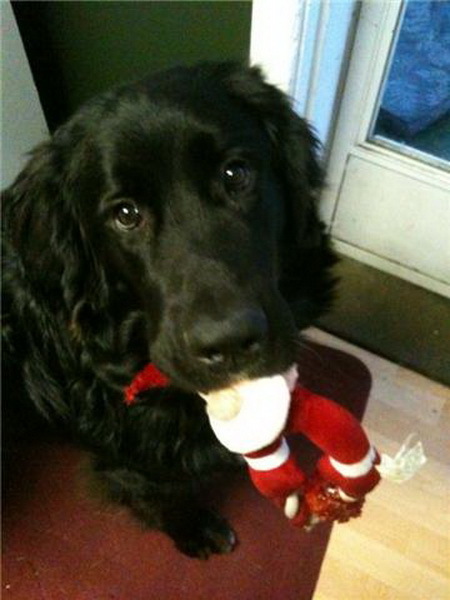 What Can Be Expected From Newfoundland x Golden Retriever Dogs? 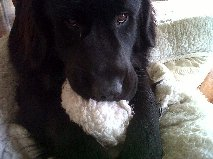 Newfie x retrievers are consistently amazing family pets. 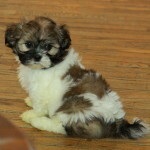 They are very loyal dogs, as are both of the purebred parent breeds. They are quick le arners and want to please their owners. 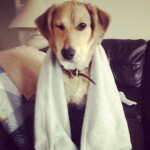 They are not typically high energy dogs, but do require sufficient daily exercise for proper healthy growth. 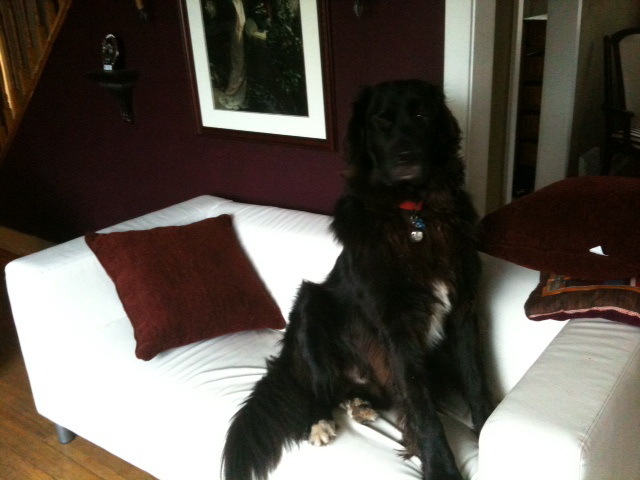 If not discouraged as a puppy, you will likely find your Newfie retriever adult lazing around on your couch as they are typically true couch potatoes! 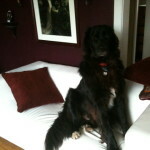 Newfoundland x golden retrievers will be shedding dogs and will not do well for anyone with allergies. They require daily grooming with proper brushes and de-shedding tools to keep their coats at their best. 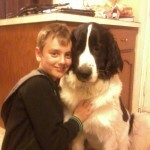 Newfie retrievers will be large dogs as well. 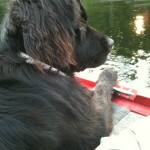 A Newfoundland is typically 130-150lbs, with some being well above that size. The golden retriever mothers we are breeding with are mostly 60-80lbs, and puppies are most often full grown between 100-120lbs. Of course, this can always vary by litter, but it is a good start for the general idea of adult sizing. Most Newfie x golden retrievers will also love being in the water, as both the Newfoundland and golden retrievers tend to love water as well. Proper introduction is key to this love of water. Pools, ponds and lakes are all great places for the Newfoundland x golden retriever to cool off in the hot summer months. They also tend to love the winter, and playing in the snow can be a really fun time for these dogs. As far as health concerns, there are not really any known issues that are consistent to this cross breed. The Newfoundland is a giant size dog and the life span of a purebred is estimated at 8-13 years, with issues such as hip dysplasia and elbow dysplasia, due to their giant sizing. 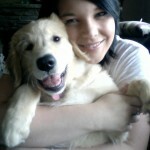 Golden retrievers can also suffer from hip and elbow dysplasia, as well as a number of other potential issues. Usually the cross breed tends to be a healthier dog than a purebred however, and this is one of the reasons that people love the Newfoundland x golden retriever dogs. 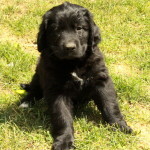 At this time both of our expected Newfoundland x golden retriever litters have been born (one litter has been born November 26, 2011, the second litter was born on December 10, 2011). Sorry, both are SOLD litters as they are from 2011. If you are interested in one of our upcoming litters, we recommend you check out our puppies for sale, if the details are not posted, we also do not have any further details but will post them as soon as we can. We are not able to reply to every email at this time of year, so please check back for details on that page. Thank you for understanding. 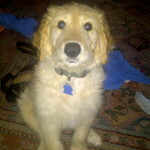 We will be adding our photos and full details of the Newfoundland x golden retriever pups when we have them. 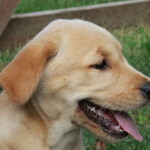 At this time, the photos posted are from Newfoundland x golden retriever pups that have been previously sold. Some details that have been requested: Golden retriever parents temperaments are very typical golden retriever in that they are very friendly, intelligent and family oriented dogs. They are well mannered and great with people and the children on the farm. 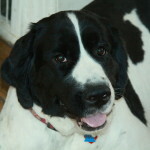 Dad is also a fantastic Newfoundland, very friendly and outgoing as well. 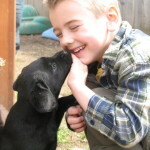 These dogs are recommeded for families, good with children, though for very small children, they will need constant supervision due to the large size of the puppy. They are a shedding, non-allergy friendly dog, so please be aware of possible allergies, or aversions to cleaning up the hair loss ahead of time. 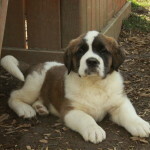 Size of full-grown dog will vary, but a good estimate would put them between 100-130lbs full grown. Colouring at this time is not fully determined, the litter born is mostly black. 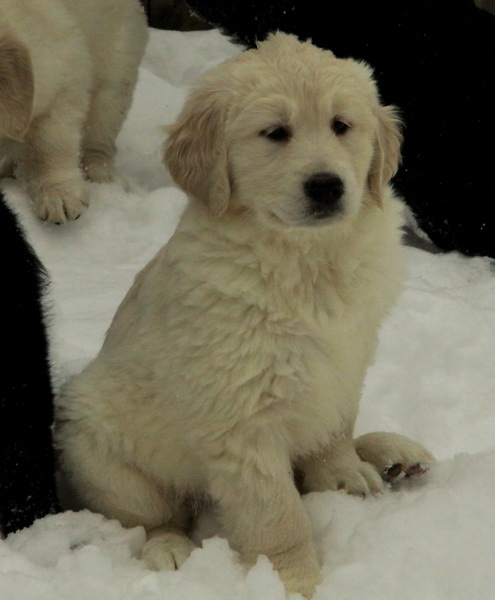 We look forward to sharing the joy with you of beautiful Newfoundland x golden retriever puppies! Mixed Breed Puppies – Adorable Mutts!